If the heart is whole with God, everything is whole; and if the heart lacks Him, all is lacking. The Sabbath is the Queen of the Week. In God We Trust and before Him we are humbled. If you follow God’s roadmap, you’ll never get lost. A man should never stand in a place of danger and expect a miracle to happen to him. Time is freely given to mankind but sadly they know not its true value; a commodity so precious and eternal but so sorely misused. Please God and be Blessed; Displease God and be Cursed! Do not even be tempted to ask why blessings are withheld and in what ways are we sinning against God, our sinful nature requires us repent genuinely and seek God’s forgiveness almost everyday. God delays but Not forget. Obey the WORD of GOD and Do His Bidding because this is everything in your life for it is the key to true happiness and peace. Lord, I am willing … To receive what You give; To lack what You withhold; To relinquish what You take; To suffer what You inflict and To Be what You require. The fruits of righteousness on the inside will produce the right actions on the outside. Fair is that lone star which smiles through the rifts of the thunder clouds; bright is the oasis which blooms in the wilderness of sand; so fair and so bright is love in the midst of wrath. He who knows not, and knows that he knows not, is a child; teach him. Believers and Unbelievers, are not paying attention today — to anything. They are checked out of serious things and checked into enjoying life. It takes something pretty earth-shattering to get their attention. The blood moons have. At least with some. No man who merely skims the book of God can profit thereby; we must dig and mine until we obtain the hid treasure. The door of the word only opens to the key of diligence. Think little of yourselves, but do not think too little of your callings. One who knows the limit knows true happiness. God doesn’t look far nor does He use strange things to bless us rather, He uses what we already have or know to give us what we want. Even in the time of His anger; God still remembers the righteous ones. Truth may appear in hasty words, but wisdom and love do not. Teeth will never quarrel with the tongue. Foolish children bring grief to their father and bitterness to the one who gave them birth. If God, in His grace, findeth no other means of making us honour Him among men, He will cast us into the deep; if we fail to honor Him on the pinnacle of riches, He will bring us into the valley of poverty. Shame is an iron fence against sin. When Satan tells you about your Past; you tell him about his Future! Focus on the day, Yeshua/Jesus says. Every day has enough problems of its own. Why worry about tomorrow? Sleepers, arise from your slumber, and those who are dozing, awake from your lethargy. Review your actions, repent from your sins, and remember your Creator! Fight on! For God Himself is with you; Jehovah Nissi is your banner, and Jehovah Rophi is the healer of your wounds. Fear not, you shall overcome, for who can defeat Omnipotence? Wake up, O sleeper, rise from the dead, and Messiah will shine on you. In order to restore God’s presence in our lives, we need to accept responsibility for wrongdoings and get back on track on the wheel of God’s Words and love. Humility is the key to both serving God and attaining happiness; it gives us the ability to be flexible and adaptable, to let go and let God. When times are good, be happy; but when times are bad, consider this: God has made the one as well as the other. Every society is judged by how it treats its least fortunate. The favor of a man in power is like a summer shower. What you give, you get ten times over. When what you want doesn’t happen, learn to want what does. God keeps away flies from the tailless cow. When you turn proud, remember that a flea proceeded you in order of diving creation. If the Lord does not pay in silver, He will in gold; and if He does not pay in gold, He will in diamonds. The mouth prays to God but the heart is full of evil. A dry finger cannot pick up salt. If a horse with four legs can sometimes stumble, how much more a man with only one tongue! When there is no truth, there is no kindness. The eclipse of your faith, the darkness of your mind, the fainting of your hope; all these, Oh, think not, believer, that your sorrows are out of God’s plan; they are necessary parts of it. These trials are for the testing and strengthening of your faith. Tell me what you are conceited about, and I’ll tell you what you lack. A man’s conversation is the mirror of his thoughts. Jealousy and anger will shorten your life. Ingratitude is sooner or later fatal to its author. Life is like a ballet performance — danced only once. What and Who do you need Most? God’s created Sun or God’s Beloved Son? Change Yourself and let Others Change Themselves. Always be ready to give thanks for unknown Blessings already on their way. Make Peace, Make Amends so that Peace and Joy will find you. Look upon the rainbow and bless its Maker! Deflate your Ego, Humble Thyself so Thy Spiritual self elevates. It takes two to clash the cymbals to repair a damaged relationship. If You’re Still Breathing, Never Cease Praying! Be teachable and pliable before God and He will reward us after molding us according to His Will. Seek Wisdom for our Mind and Curb our runaway Tongue. God shows mercy on those who humble themselves and repent. Words of Knowledge is a spiritual gift of God. Be in prayer of thanks to God who bestows it. Let go of our ego of self-sufficiency and let God work in us whenever we go to Him in prayers. Consider every day your last and you will always be ready – with good deeds and repentance. We need to have great faith in God and of good outstanding moral character if we to be examples or leaders. Empowerment by God’s Holy Spirit brings forth the courage in us. Natural forces within us are the healers of disease. When we Pray with meekness; God Listens. Nothing that is God’s is obtainable by money. God’s timing is perfect; never early, never late. It takes a little patience and it takes a lot of faith. The “Fear of the Lord” does not denote a cringing feeling of terror of God but rather a reverential awe at the glory of His Presence. Godliness is a devotion to God which results in a life that is pleasing to Him. That God’s grace and strength sustain. Yeshua is our Manna from Heaven; freely given by One True and Eternal Almighty God Yahweh. Whoever is pregnant with evil conceives trouble and gives birth to disillusionment. Where there is no truth there is no grace. If you do not sow, how will you harvest? Do not look at the vessel, but what is in it. When the nerves yell, the wit is silenced. Envy is the art of counting someone else’s blessings rather than your own. One eye witness is better than ten hear sayers. To navigate through the storms of life, we need to embrace the Word of God so that it gives a solid and firm foundation to battle and survive the ordeal. Art is long, life is short; Judgment difficult, Opportunity transient. Who respects the elderly is as if he respects the Lord. If I am in harmony with my family, that’s success. If and When your house of cards fall; it is when you look Up to Heaven and Cry Out to God. One of the great gifts God gives each of us is the ability to turn back to Him and seek healing for our brokenness – that is “repentance”. By genuine repentance from your heart, one has not lost God’s favor. Be careful how you walk so that you may not fall over the cliff of overconfidence. If a man cannot control his temper, how much less can he control others? Lose your temper and you lose a friend; lie and you lose yourself. No one is as deaf as one who will not listen. No one is too far off nor too down the “sin” path that God won’t provide the U-turns; it’s up to us to make a “choice”. You are what you are made of – the sum of the good and bad and also all of your happiness and sorrows. God may not always give you everything you think you want but He will give you everything you need. God has given us control over one thing in our lives – our thoughts. In seeking wisdom, the first step is silence, the second listening, the third remembering, the fourth practicing, the fifth – teaching others. All disease comes from a state of unforgiveness. Our life is full of brokenness – broken relationships, broken promises, broken expectations. To live with that brokenness without becoming bitter and resentful is by returning again and again to God’s faithful presence in our lives. We should be in communion with Him through His son, Yeshua everyday by Observing His commandments, Observing The Sabbath and be prayerfully thankful in everything. First, Focus on God – He created you. Lastly, Be Happy – He has chosen you. 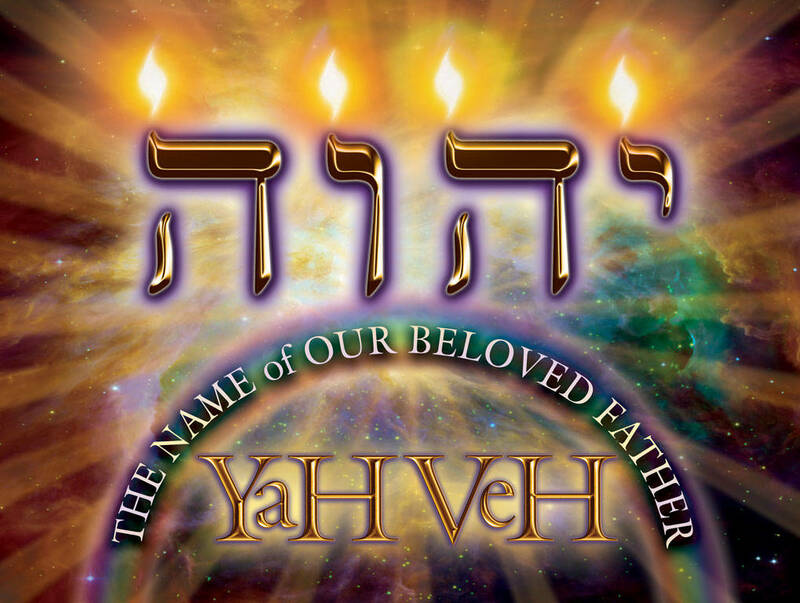 Even though we are faithless; our One Eternal God Yahweh and His Son, Yeshua remains ever faithful. God does not measure your bank account but an account of your heart. God is not looking for us to be perfectly capable, but for someone willing to be available, touchable, moldable, and soilable. If not for the light, there would be no shadow. God has brought you to this juncture or crossroads of your life and has provided for you eversince so that He can take you to another level or season of your life where He wants you to be greater in whatever talents He has bestowed upon you. Value what you have and use it wisely. Life is a dream for the wise, a game for the fool, comedy for the rich, a tragedy for the poor. Words are like bodies; meanings are like souls. Dignified silence is better than dignified speech. No one did what anyone could have done and everyone knew needed to be done but thought someone else would do because everybody thought somebody was better at doing what anybody could have done but nobody did. Earn your money honestly and Give your money generously. From success to failure is one step; from failure to success is a long road. God is Awesome! There’s nothing that He cannot fix. Delay gratification of your wants not needs if you want to move forward. Work for the money when you are young and able and Money will take care of you when you are old and not able. Setbacks in our lives are arrows of strength which propels us forward with more focus on our priorities. Who ridicules his father is no better than a worshipper of idols. There is no one who never stumbled. One fool can ask more than ten wise men can answer. Better a crooked foot than a crooked mind. There is nothing as powerful in a human soul as a “mindshift”. Suffering tends to sit us down from the hurried and ever-busy life to a more contemplative and serene one. If there’s bitterness in the heart, sugar in the mouth won’t make life sweeter. Anxiety breaks a man’s backbone. Patience is needed in leaving the judgment to God. Knock on the sky … and listen to the sound. Perfectly cooked rice grains are like brothers, close, yet separate, and definitely not stuck together. Same goes for family, very close yet uniquely apart. God doesn’t call the qualified, but qualifies the called. You do not punish without warning first. Who cuts down good trees sees no profit. What a sober man thinks, a drunkard speaks. He who envies others obtains no peace of mind. When one always drinks vinegar, he doesn’t know that anything sweeter exists. Listen to the voice of nature, for it holds treasure for you. Pleasures are transient, honors are immortal. If you do not respect your parents, your children will not respect you. When on earth, Jesus Christ never downplayed what He meant to say in order to gain popularity. He never minimized or falsified reality. He never had to fumble for a word or guess when giving an answer. He spoke what was true and right. Greet all men with a smiling face! From the pine tree, learn of the pine tree. From the bamboo, learn of the bamboo. Who eats even plain bread and salt with his friend should be grateful to him. even for a brief period of time, will have its dire consequences. Sin may look appealing but it always lead to destruction. rotten at the core in the first place. and rejoicing. He loves a person who truly repents from the heart. Unless we believe that God renews creation every day, our prayers grow habitual and tedious. The man who remembers others, remembers also his Creator. The truth hurts like a thorn, at first; but in the end it blossoms like a rose. Not every heart that laughs is cheerful. Faith is surely strengthened when one has endure great trials. It’s always easier to trust God when life’s sunny and bright but when storms of life are raging fiercely, the alarm bells of trusting in Him completely rings the loudest. When you are in the shaky seasons of your life; let God be the “Stiller” in it. Do not be fixated with the presentability of your outward as your great treasure is found inward. One can accomplish so much in so little time as when one is praying with faith and trust. God hears prayer, God heeds prayer, God answers prayer, and God delivers by prayer. One True Eternal Almighty God Jehovah/Yahweh is the absolutely perfect Judge. Do we trust Him, or do we only trust Him when the going is good? It’s always easier to trust Almighty God when life’s bright and sunny than when storms of life are gloomy and cloudy. Prayers truly from the heart open all the doors in Heaven. One must behave before men as one must before God. The Ten Commandments remind us to choose One instead of None or Others, the sacred over the secular; in order to find divine favor and blessing. Heaven is the Treasury of Everlasting Life. It’s hard to fight an enemy which has outposts in your head. Truth rises to the top, like oil upon water. Only God can give us credit for the angry words we did not speak. Sickness of the spirit is worse than sickness of the flesh. Losers live life from the outside in, while winners live life from the inside out. Pride’s power lies in its ability to deceive us into believing in our self-sufficiency. Better a public scolding than love unrevealed. Communication with God – prayer – is a two-way conversation! It is not just the voice of praise and petitions, but often communion . Sitting in silence with God, listening for whatever He may want to say. Simply enjoy the fact that He is, and you are, and you have a relationship with Him. These special moments with God are when His fresh breezes can enter your heart and refresh you. Of all the music that reaches farthest to heaven, it is the beating of a loving heart. The test of good manners: to bear patiently with bad ones. Misfortunes will happen to the wisest and best of men. Lack of honor for Parents manifests itself in self-willed and self-indulgent people who seem to simmer just beneath the point of rebellion. Their motto in life becomes, “Just do it.” So they condemn themselves to learning the lessons of life through hard experience, which may be a good teacher, but a painful one. Time sets on man without God but God revives his soul when he completely trust and believes in Him. Willful disobedience is Rebellion against God. No one who breaks God’s laws can have peace. Great blessings come from heaven; small blessings come from man. A sage thing is timely silence, and better than any speech. For the ignorant, old age is winter; for the learned, old age is the harvest. A twig should be bent with caution. Even the strongest the eagle cannot soar higher than the stars. Counterfeit humility is akin to pride; it’s still considered as sin. The Ten Commandments are a unity. To break one breaks them all, regardless of what level men think each commandment is on. To break the fourth commandment [Sabbath breaking] makes us just as guilty and worthy of death as breaking any of the others. This is where we have to begin. This is not a commandment that can be just shoved aside; it cannot be taken for granted any more than any of the other nine. God’s intent for it is very important to our lives.